When I got assigned to write about Pope Francis’ general audience on Confirmation, I was filled with joy. I smiled thinking how beautiful God works in our lives. I go to different churches and talk about the importance of Confirmation to our young people and tell them my story, and how the Holy Spirit worked so powerfully in my life. 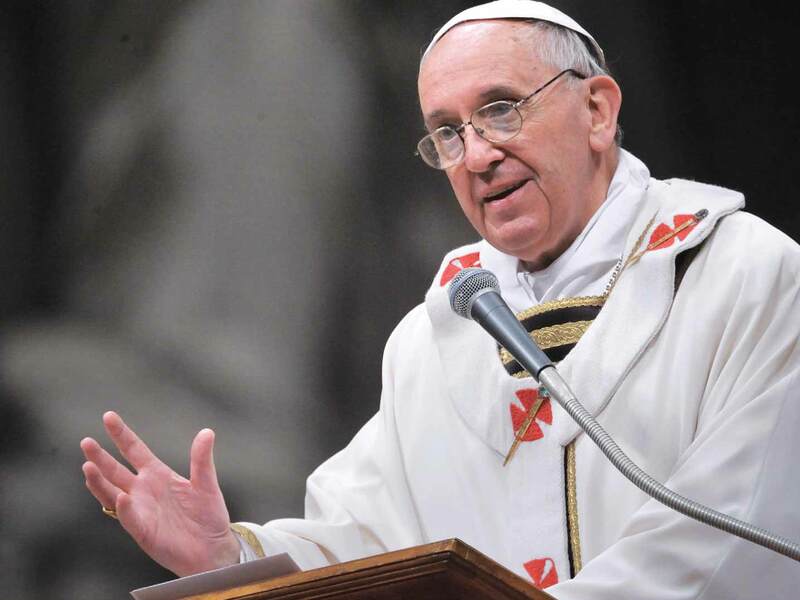 Pope Francis puts an emphasis on how important it is for baptized Catholics to fulfill the graces they received from Baptism and go on to Confirmation to be sealed with the Holy Spirit. At Baptism we become a son/daughter of God and His church. We are washed away from original sin, and our lives are filled with God’s grace and goodness. Confirmation is taking that one step further so we are officially sealed with the gifts of the Holy Spirit and better able to take them out into the world. As the Catechism calls it, you become a “soldier of Christ.” That can be an intimidating word for many of us because we can get so comfortable in our daily lives. But God didn’t call us to conform to this world; He called us to change it. Confirmation gives us this unbelievable strength to deepen our understanding and better defend our faith and bring it to others. I’m going to briefly share with you my Confirmation story and how this beautiful sacrament was an answer to prayer. Right before my Confirmation my faith was severely lacking, especially because I thought God had abandoned my family and me. We were struggling: our house was put into foreclosure, and my mother was diagnosed with stomach cancer. My heart was breaking. I couldn’t believe God would allow this to happen, and I was to receive a sacrament? No way. I believed I wasn’t ready. Yet when it comes to the grace, nobody is ever ready. Grace is strongest when we are at our most broken. On February 20th, 2010, I received the greatest gift God has ever given me: Confirmation. The strength and love I received was almost more than I could bear, and I realized that sometimes we need to be broken in order for God to heal us correctly. Pope Francis states that, “It is important to take care that our children, our young people, receive this sacrament.” I agree wholeheartedly with him, because many don’t believe the true meaning behind this sacrament — what it can truly do in our lives and not only our lives but how it can change others. When God opened my eyes to the importance of this sacrament I never believed I would be writing about it and speaking about it, but that just proves the power of the Sacrament and how God uses each one of us confirmed Catholics in a specific way to change the world. It is also our duty as Confirmed Catholics to share this amazing gift with young people. Why should we let them miss out on such a spectacular gift because they don’t truly understand it? Pray today, to the Holy Spirit for His gifts and that every day we live out our duties as Confirmed Catholics. If you are preparing to receive Confirmation, know that it will be one of the most beautiful days of your life if you open your heart to it. Also, know that I’m praying for you. Editors Note: If you want to know more about Megan’s talk on Confirmation please contact her at Megschuelke3@hotmail.com.